Hosting a non-profit or charity event is never easy. The work starts long before the event begins and requires significant effort and foresight. However, when the event goes off with minimal complications and is well-received by your attendees, it’s very rewarding. Many guests will have attended similar events. So how to ensure that yours stands out from the crowd? The answer: engagement. Engagement is the difference between passively attending an event and being an active participant. When your attendees are engaged, it means that they’re having a good time and, more importantly, that they’re receiving your intended message. To make your non-profit event a success, maximize attendee engagement. While that might seem a daunting task, there are several, simple ways to accomplish this goal. A common misconception is that engagement begins when they walk through the venue doors. In reality, that’s not the case. Social media has made it possible to engage guests for months leading up to the event, creating anticipation, excitement and media buzz. The best way to leverage social media for your event is to create an event-specific hashtag. It should be concise and catchy; when people see the hashtag, there should be no question it’s referring to your event. Incorporate the hashtag across event posters and banners, in your emails, on the website, print and digital channels and in all your social media posts. The idea is to get people thinking about, talking about, and excited for your event. One of the most important rules of event planning is to make sure the event is tailored to the audience. For example, strobe lights and a DJ might not be the most appropriate fare for a black-tie charity function. There are many ways to collect demographic info from your attendees, but one of the most effective (and simplest) ways is to start with digital invitations. In fact, you can use one of the many survey tools that are available for free as a means of collecting data about your attendees while allowing them to R.S.V.P. to your event. Two birds, one stone. 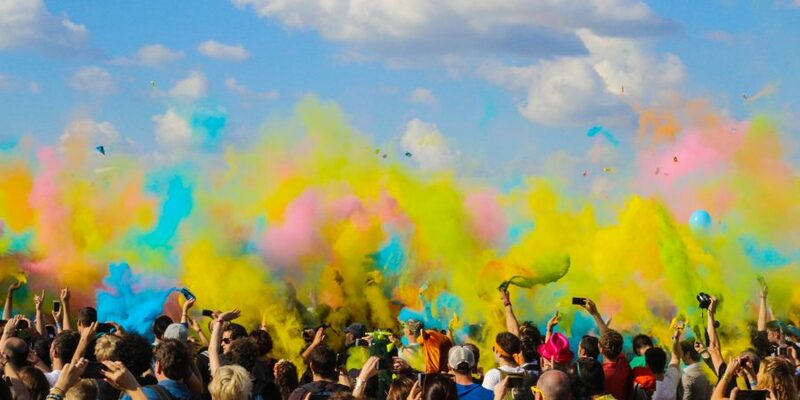 When you know your crowd, you can plan your event accordingly, choosing elements that are targeted to the demographic group(s) that largely comprise your attendees. Incorporating interactive entertainment introduces an element of spontaneity and surprise to the event that makes it memorable and social media worthy. If you struggle to come up with ideas for a game or interactive event, consider a competition such as a scavenger hunt or a murder mystery party. For something even more interactive, consider a topical gameshow. People love to win things. Even something simple like a costume contest can be highly effective. In addition, costume contest offer attendees lots of photo-ops for people to post and share on social media. The more you design the event so that attendee participation in some part is required, such as costumes, the more the attendee invests in it. In the end, the best events are the ones where the participants have specific tasks to do–whether that be answering trivia questions or dressing up like a mob boss from the 20s. The tone will be set by your attendees, but everyone still enjoys having fun, and you’re more likely to get repeat donors if they leave your event happy and feeling they got their money’s worth.